Comparative evaluations of efficacy and cost effectiveness of ovulin and ovaprim hormones in the breeding of the African catfish, Clarias gariepinus were assessed. Eighteen (18) gravid females and six (6) mature males of Clarias gariepinus were used for the experiment. The result obtained indicated that ovulin performed significantly better (p<0.05) in all the parameters investigated except in survival rate. Fertility rate of the eggs were higher in ovulin than ovaprim treated fish especially at 50% concentration where the percentage mean values were respectively 81.00 ± 18.51% and 57.33 ± 4.15%. The percentage hatchability showed higher result in ovulin than ovaprim. The percentage mean value of hatchability recorded using ovulin at 50% concentration was 78.53 ± 25.31%. At 75% concentration, the mean hatchability for ovulin and ovaprim were respectively 32.63 ± 13.81% and 31.13 ± 3.70% while 4.00 ± 0.00% and 18.1 ± 0.20% were recorded at 100% concentration. Latency period were consistently higher in ovulin treated fish when compared to ovaprim. However, the higher the hormone concentration, the lower the latency periods in both ovulin and ovaprim. Ovulin treated females had higher mean fingerling weight (14.33 ± 1.58 g) whereas fingerlings from female treated ovaprim had lower mean weight (8.66 ± 0.53 g). The study showed that ovulin is more cost effective than ovaprim since 0.36 ml of ovulin produced mean fingerling weight of 14.33 ± 1.58 g at the cost of â¦165.6 while 0.36 g of ovaprim produced mean weight of 8.66 ± 0.53 g of fingerling at â¦180.00. As a result of increase in population and continued depletion of natural resources resulting from exploitation in developing countries, the cost of living is rising exponentially and so are the rates of hunger and poverty which have surged to very high levels (Akinrotimi et al., 2007; Stanley et al., 2003; Akinrotimi et al., 2015a). As a result of this factor, cost and demand for food especially the dietary fish protein has also risen considerably. In view of this, agriculture and science have been coming up with better ways of accelerating productivity to meet the population needs (Hogsetle et al., 1999; Anyanwu et al., 2007; Akinrotimi et al., 2015b). Over the past decades aquaculture has expanded and diversified in response to the increasing global demand for fish as a major source of protein (Ayinla, 1988; Gabriel and Akinrotimi, 2011). The production from capture fisheries has thus reached its maximum potential as the catch is dwindling with each passing day (Gabriel et al., 2007a). According to FAO (2006), fish supplies from capture fisheries will therefore not be able to meet the growing global demand for aquatic food. Hence, there is need for a viable alternative fish feed on a very large variety of foods both natural and supplemental feeds and their ability to stay in water with poor conditions because of its ability to tolerate low pH levels and low oxygen levels (Kusmic and Gualtieri, 2000). The African Catfish, Clarias gariepinus is a choice fish for culture as it commands good market, consumers like its taste and farmers find it easy to culture due to its hardiness. It has been a principal cultured species across most parts of Africa. It is mostly used to generate income and provide food for subsistence farmers (Gabriel et al., 2007b; Papoutsogloun et al., 2000). It is cultured conveniently under mono and poly culture system (Reich, 1975 Akinrotimi et al., 2011a). The high demand of fish fingerlings in the high growing aquaculture industry has stimulated the need for artificial propagation of cultured warm water fisheries (FAO, 2007). The increase in human population and reports of large numbers of undernourished or starving people, especially in the developing countries has made the need for food production a major worldwide issue of concern. For most of our lakes, rivers and oceans, the maximum sustainable fishing limit has been exceeded. Therefore, fish production will depend on aquaculture to bridge the gap of fish supply. Hence there is need for alternative culture approaches (Akinrotimi et al., 2011b; Gabriel et al., 2009; Keremah et al., 2011). Among the most important advancement in the field of aquaculture to tackle this challenge in recent times, is the development of techniques to induce reproduction in fish. These techniques have allowed farmers to profitably breed and raise species that do not naturally reproduce in captivity. In time past, farmers do collect fingerlings from the wild, a process that is labour intensive and unpredictable with regards to timing, age, disease free, etc. It also introduces unwanted fish in the ponds that may facilitate cannibalism (Ayinla, 1988; Gabriel et al., 2007c; Gabriel et al., 2016). Artificial breeding otherwise known as hypophysation is practiced with the involvement of reproductive hormones. Induced breeding through hormone treatment and artificial incubation of fertilized egg has advantages of better rate of fertilization and hatching, better conditions for growth and survival of larvae to fingerling and better protection of larvae against unfavourable environmental condition and predators (Woynarovich and Horvath, 1980). The uses of both synthetic and non-synthetic hormones have been reported in different regions with recommendations of different doses Ovaprim (Salmon Gonadotropin Releasing Hormone) had recorded numbers of success but the price is very high. The report by Hill et al., (2009) revealed average success rates of 50% ovulation, 54% spermiation and 1.3% mortality were recorded after injection of different species with ovaprim. Also, ovaprim has been used successfully for hypophysation in different families of fish like cyprinidae (Hill et al., 2005), Characidae and Cobitiidae (Yanong, 2009) while ovulin (Drosophila seminal protein) has been used successfully in the families of fish such as cyprinidae and clariae which mediates ovulation through female octopamine neuronal signaling. Across animal taxa, seminal proteins are important regulators of female reproductive physiology and behavior. Ovulin increases ovulation rates after mating. In this research, the effectiveness of the two synthetic hormones, Ovaprim and Ovulin in the spawning of African catfish was compared, based on latency period, egg fertilization, hatching rate, and survival of hatchling. The project work was carried out in the hatchery unit/complex of the University of Port Harcourt, Choba campus, Rivers State, Nigeria. Port Harcourt the capital of Rivers State lies between longitude 4° and 6° East at Greenwich meridian and 7° and 8° of the Equator (Kowal and Knabe, 1972). A total of twenty four (24) adult (brood stocks) African catfish (six males and eighteen females) were used in this study. They were procured from Briggs’ Fish Farm along Igwuruta Road, Rivers State. The hormones (Ovaprim and Ovulin) were also procured from Agro-service centre at Rumudomaya, Port Harcourt. The bloodstocks’ used were 12 months old with average weight of 1000 g.
The mature gravid females were selected based on swollen, well distended soft abdomen, reddish vent and gentle extraction of few eggs by depressing the fish abdomen using the finger. Females with sharp golden coloured eggs were selected. Matured males were also selected based on their reddish pointed genital papillae. The broodstock of C. gariepinus used were carried to from a fish farm at University of Port Harcourt, Rivers State, Nigeria and was transported to the fish hatchery unit of University of Port Harcourt, where they were acclimatized in concrete holding tanks for 24 h before artificially induced breeding was carried out. Both males and females were acclimatized in separate concrete pond of 8×8×5 ft for 3 weeks during which they were fed with coppen feed. A completely randomized design (CRD) was used. Two treatments were used in triplicates:-Ovaprim-(B) and Ovulin (A). The recommended standard dosage of 0.05/kg of the female body weight were used as control while treatments were 0.25 and 0.375 hormone/body weight of female. Two of the female brooders were injected differently with the hormones ovaprim and ovulin at 0.5 m1 kg-1. All injections were administered intra muscularly near the dorsal fin. The injected area was rubbed with a finger in other to distribute the hormones evenly throughout the muscle and to prevent backflow of the hormones. The injected fish was kept in different glass tank. One of the female adult fish was injected with 100% concentration of each hormone which served as control fish. The milt was procured by sacrificing and dissecting the males in order to remove the gonad (testis). Before removing the gonad, a physiological solution was prepared by dissolving 9 g of salt (NaCl) in one liter of water. Incision was made in the gonads, and the sperm was squeezed and washed out of testis sac with the physiological solution into beakers. The body of the female brooders was mopped dry by the use of towel to prevent the egg from coming in contact with water, because this may consequently seal up the micropyle and prevent fertilization. Pressure was applied gently on the abdomen of the female brooders injected with the different hormones (Ovaprim and Ovulin). Ovulated eggs were ooze out from the genital opening and was collected in stainless steel bowls with labels- Ovaprim and Ovulin and weighed separately. Spermatozoa (milt) from the mature male was used to fertilize the eggs in the labeled bowls. Fertilization was done by pouring the milt on the ovulated eggs and stirring the mixture gently with rubber spoon until it is properly mixed. The process from stripping to fertilization took 3-5 minutes. Incubation of the fertilized eggs was carried out in glass tanks equipped with aerators. The fertilized eggs were spread in single layers on a net that was suspended in the water. Hatching was expected to start in 24 hours. Sodium sulphite of 15 g was weighed and dissolved in 100 ml of distilled water making up the concentrated stock solution needed. The stock solution was diluted with 900 ml of hatchery water (Larry, 1977). A certain volume of the sodium sulphite solution was used to separate the cluster spawned eggs. Data obtained from each treatment were compared by two way ANOVA test to determine the significant differences (p<0.05) in reproductive performance parameters using Tukey Honest Significant Difference at 95% probability. The mean number of fertilized eggs in both Ovulin and Ovaprim treated fish decreased with increase in the concentration of the hormones. The number of fertilized eggs declined from 402.33 ± 90.72 and 280.00 ± 20.00 to 195.00 ±1.00 and 200.00 ± 3.00 for ovulin and ovaprim respectively (Tables 1 and 2). Comparatively, the numbers of fertilized eggs in ovulin induced fish were higher than that of ovaprim at 50% concentration of the hormones, while the number of fertile eggs at 75 and 100% concentration were the same (Figure 1). Table 1: Reproductive performance of C. gariepinus in different diluted Ovulin (Mean ± SD). Mean in column with similar superscript are not significantly different at P<0.05) ± SD. Table 2: Reproductive performance of C. gariepinus in different Concentrations of diluted Ovaprim (Mean ÃÂ± SD). Mean in column with similar superscript are not significantly different at P<0.05) ± SD. Figure 1: Comparative number of fertilized eggs from ovulin and ovaprim induced spawning of C. gariepinus. Figure 2: Comparative fertility rate of eggs from ovulin and ovaprim induced spawning of C.gariepinus. The mean value for the fertility rate was 81.00 ± 18.5% in ovulin treated fish compared to 58.33 ± 39.06% in ovaprim treated fish (Tables 1 and 2). Fertility rate of the eggs were higher in ovulin than ovaprim at 50% concentration, while the variables in other concentrations did not differ between the hormones (Figure 2). For the ovulin treated fish the number of eggs that hatched from the 50%, 75% and 100% concentrations were (377.00 ± 21.35), (158.00 ± 8.65) and (21.00 ± 0.00) respectively (Table 1), but for the ovaprim treated fish, the number of eggs hatched at the various concentration of 50%, 75% and 100% were (193.33 ± 39.06), (149.33 ± 17.93) and (87.00 ± 2.00) respectively (Table 2). In ovulin the number of hatched eggs differs among themselves at different concentrations of 50%, 75% and 100%, while in the ovaprim treated fish, the number of hatched eggs at 50% and 75% concentrations differ (P<0.05) from the number hatched at 100% concentration. The number of hatched eggs in the 50% concentration of ovulin was higher (p<0.05) than the same concentration of ovaprim, whereas the reverse was the case for 100% ovaprim (Figure 3). Figure 3: Comparative number of hatched eggs from ovulin and ovaprim induced spawning of C.gariepinus. In both the ovulin and the ovaprim treated fish, the hatchability declined with increase in the concentration of the hormones (Tables 1 and 2). The hatchability at the various concentration was: Ovulin:- 50% (78.53 ± 25.27) 57% (32.63 ± 13.81) and 100% (4.00 ± 0.00) Ovaprim: - 50% (40.27 ± 8.11%), 75% (31.13 ± 3.70%) and 100% (18.10 ± 0.20%). The hatchability rate differs among the different levels of concentrations (50%, 75% and 100%) in the ovulin treated fish, but for ovaprim treated fish, the rate at 50% and 75% concentrations were similar but differ from 100% concentration. The hatchability rate between the hormones (treatments) follows similar trend as in the number of hatched eggs (Tables 1 and 2). In the ovulin treated fish, the mean survival rate increases with increase in hormone concentration as follows: 50% - 78.98 ± 3.92%, 75% - 12.50 ± 7.11%, and 100% - 28.57 ± 0.00% but for the ovaprim treated fish the survival rate fluctuated among the different treatment levels of hormone with the highest at 75% concentration as follows: 50% -14.62 ± 4.83, 75% - 33.02 ± 16.77 and 100% - 9.20 ± 0.05 (Tables 1 and 2). Comparatively the highest survival rates of hatchlings were recorded in ovaprim induced fish at 75% concentration, while the lowest was in ovulin induced fish at 50% concentration (Figure 4). Figure 4: Comparative survival rate of fingerlings from ovulin and ovaprim induced spawning of C. gariepinus. Though the latency period reduces with increase in concentration in both hormones, a comparism of the two hormones (ovalin and ovaprim) shows that the latency period is higher in ovaprim than ovulin. In ovulin treated fish it was 13.33 ± 0.58%, 12.00 ± 0.00% and 10.00 ± 0.00% for 50%, 75% and 100% respectively and in the ovaprim treated fish it was 14.00 ± 0.00%, 12.00 ± 0.00% and 11.00 ± 0.00% for 50%, 75% and 100% respectively (Figure 5). Figure 5: Comparative latency period of ovulin and ovaprim induced spawning of C.gariepinus. In ovulin, the number of fingerling increased with decrease in hormone concentration 50%: 27.00 ± 3.60, 75%-18.67 ± 10.07, and 100%: 6.00 ± 0.00. But in Ovaprim, the highest number of fingerlings was recorded in the 75% concentration (55.00 ± 13.23) and the least was in the 100% concentration (8.00 ± 0.00) while 50% concentration recorded 52.00 ± 2.65 (Tables 1 and 2). The number of fingerlings produced were consistently higher in ovaprim induced fish when compared to the ovulin. In both hormone treated fish, the weight of fingerlings increased with decrease in levels of concentration as follows:- Ovulin: 50%- 14.33 ± 0.58 g, 75%- 8.57 ± 6.83 g and 100%- 0.800 ± 0.00 g, and Ovaprim: 50%- 8.66 ± 1.53 g, 73%-9.33 ± 3.51 g and 100%- 6.00 ± 0.00 g (Figure 6). Figure 6: Comparative number of fingerlings from ovulin and ovaprim induced spawning of C.gariepinus. The mean fertility rates of the eggs were higher in ovulin than ovaprim especially at 50% concentration. Ayoola et al., (2012) reported lower percentage fertilization of egg (67.00 ± 3.61%, 62.56% and 58.60%) in the same fish species (Clarias gariepinus) using the hormones, ovulin, ovaprim and pituitary extract respectively. This result is also in agreement with the report of Haniffa and Sridhar (2002) in induced breeding of catfish, Heterobranchus fossilis using ovaprim. The lowest fertility rate in this study was observed at the highest level of concentration (100%) of both hormones administered. Ataguba et al., (2012) also reported percentage fertilization to range from 53.5% to 83.7% using ovaprim and C. gariepinus and was attributed to size of broodstock and the sperm quality. This could be attributed to weight of fish and some other environmental factors. The mean number of fertilized eggs in Ovulin and Ovaprim treated fish in this study decreased (P<0.05) with increase in the concentration of the hormone and decreased from 402.33 ± 90.72 and 280.00 ± 20.00 to 195.00 ± and 200.00 ± 3.00 for ovulin and ovaprim respectively. This result is in disagreement with the findings of Abdulraheem et al., (2012) who reported mean fertilized eggs of 41, 259 ± 1631.50 to 46,600 ± 0.00 in ovaprim treated fish. This could be attributed to difference in the physiology of fish and some environmental difference. According to Zweig et al., (1999) extreme pH negatively affects fish growth and reproductive performance of fish such as fertilization of egg and even causes massive mortalities in fish culture. Sensitivity to extreme pH conditions varies according to fish species and age. In this study the pH observed was at moderate level. For the ovaprim treated fish, the number of eggs hatched at the various concentration of 50%, 75% and 100% decreased from 193.33 ± 39.06 to 87.00 ± 2.00 while that of ovulin decreased from 377.00 ± 21.35 to 21.00 ± 0.00. This result is in disagreement with the finding of Abdulraheem et al., (2012) who reported mean hatched eggs between 23,964 ± 5497.50 to 28,734 ± 1272.50. This could be attributed to environmental physiology and some other environmental variables such as temperature, dissolved oxygen and pH that controls fish reproduction and growth. In a research carried out by Bhujel et al., (2000), temperature influenced egg development and hatching in O. niloticus, Tilapia zillii (Omotosho, 1988) common carp, Cyprinus carpio, (El-Gamal, 2009) and Cod, Gadus morhua (Page and Frank, 1989; Geffen et al., 2006). The percentage hatchability in this study (78.53 ± 25.27% and 40.27 ± 8.11%) showed higher result in ovulin than ovaprim. The result of this finding is in line with that of Ayoola et al., (2012) who reported 70% hatchability in ovulin. According to Olaniyi and Akinbola (2013) a female fish injected with ovaprim had percentage hatchability of 46.3%compared with those injected with African catfish pituitary extract-ACPE (25.99%). According to Olaniyi and Akinbola (2013), hatching and latency periods were 48 hours and 9.05 hours respectively for each of the female across the treatments. The survival rate however showed a contrasting pattern to percentage hatchability. The study showed the success of hypophysation in Clarias gariepinus. The hatching rate was 46.3% in ovaprim and 25.99% in ACPE. These values agreed with Saidin (1986) who reported that artificial oviposition by stripping of C. macrocephalus gave low hatching rate of 10-45%. However, the values were lower than those reported by Adebayo and Popoola (2008) whose hatching rates ranged between 51.1%-73% in the different hormone treatments. Belel et al., (2013) compared the effectiveness of carp pituitary and ovaprim in induced breeding of the Sting Catfish, Heteropnuestes fossils. They reported better ovulation (90%) in ovaprim induced fish while carp pituitary induced fish had 78.7% ovulation. Hatchability was 86.7% and 69.2% in ovaprim induced fish and carp pituitary induced fish respectively. Efe et al., (2015) reported in their study that hatching rates followed the same trend, in which significantly higher hatching success was recorded for Ovaprim ovulated eggs (83.5%) than PGE induced eggs (63.7%). Ataguba et al., (2012) reported percentage hatchability of 88.7% at p<0.05 using ovaprim in clarias gariepinus which was attributed to size. At optimum temperature of 24-30°C El-Hakim (2009) observed hatching rate to increase and ranging from 48.0% to 74.3% in common carp, Cyprinus carpio. Oyelese (2006) also reported highest hatchability of 77.8% in C. gariepinus and was attributed to weight. The number of survived fingerlings in this study was higher in the ovaprim treated fish 75% (55.00 ± 21.139) than the number of survived fingerlings in the ovulin treated fish. This could be attributed to difference in hormonal composition, physiology of fish size of the broodstock used and the size of the egg produced. Efe et al., (2015) reported that the survival of fingerling was high in large brood stock size while the lowest was obtained for the small brood stock size. This was supported by an earlier study by Marsh (1986), and Miller et al., (1988) where larger fingerling and fry at hatching were noted to have some advantages in survival and fitness. The physico-chemical parameters of a body of water is very important to the productivity, growth and survival of the aquatic organisms that are living in the water and thus play an important role in the biology and physiology of the fishes which are part of the organisms living in water (Adebisi, 1981). Survival rate in this study was higher in ovaprim than ovulin and that it was highest at 75% concentration of ovaprim which is contrary to the finding of Ayoola et al., (2012) who reported higher survival rate in ovulin in the same species of fish and could be attributed to the environmental factors. According to Olaniyi and Akinbola (2013) survival rate of fries after 4 weeks was 50.14% in ovaprim and 82.98% in ACPE. This was in accordance with Adebayo and Popoola (2008) who observed survival rate of greater than 60% after 30 days of rearing. Efe et al., (2015) reported fry survival rate of 81.90 ± 1.10% for Ovaprim treated fish, while PGE induced fish fry had 77.73 ± 1.33%; percentage deformed fry was significantly minimal for Ovaprim treated. Fingerlings survival rate depends on several factors such as feed availability, pH, temperature, dissolved oxygen, ammonia, nitrite, nitrate, etc (Ajah 2007). In addition, type of hormonal agent also determines fry survival rate as recorded in this study. Nwokoye (1985) reported 75-80% fingerlings survival rate following pituitary gland induced breeding in C. gariepinus. In this study, Ovaprim showed superior fry survival rate over PGE. According to Ayoola et al., (2012) the survival rate of fingerling after 4 weeks of experimental period was higher in female fish treated with ACPE (82.98%) and lower in female fish treated with ovaprim (50.14%). The latency period observed in this study was shorter in ovulin (10.00 ± 0.00-13.33 ± 0.58 hours) than that of ovaprim (11.00 ± 0.00-14.00 ± 0.00 hours). The latency period recorded in this experiment is similar to De Leeuw et al., (1985), who reported a latency period of 12:3 hrs when C. gariepinus was injected with Gly10 (D-Ala6) LHRH – ethylamide and pimozide. Richter et al., (1987) recorded 16 hrs latency period, using the same treatment as De Leeuw et al., (1985) and Kouril et al., (1992). Tan-Fermin and Emata (1993) recorded a latency period of 12 to 16 hrs when C. gariepinus and C. macrocephalus were induced to breed using pituitary and Ovaprim. Mohammed et al., (2000) recorded a latency period of 26 hrs for fish injected with 3000 IU HCG. Francis (1992) also recorded 26 hrs latency period for Heterobranchus fossilis and C. batrachus. The difference in the latency period is generally attributable to variable potency of the different hormonal materials used as well as the responses of the different fish species and temperature. Prolonged time of spawning is a drawback of using certain substance in induced breeding (De Leeuw et al., 1985; Kouril et al., 1992; Bruzuska, 2000). The shorter latency period recorded in ovulin treated fish than those treated with ovaprim in this study is a reflection of the superiority of the former in induction of breeding of C. gariepinus. Prolonged latency period has indirect implication on the quantity and quality of eggs produced as well as the quality of the fry. Thus, the shorter the latency period, the better the reproductive output. Abduraheem et al., (2013) reported that the maximum latency period of 11 hrs, 20 mins recorded in their study could be ovaprim dosage-dependent as was observed for mammalian gonadotropin, methyltestosterone and partially purified Salmon gonadotropin in grey mullet Mugil cephalus (Shehadeh et al.,1973) and for HCG and LH. RH-A in Mudskipper, Boleosphthalamus pectinirostris (Zhang et al.,1989) or it could be due to the physiological make up of the fish (Haylor, 1993). The mean weight of the fingerlings obtained from the use of ovulin was higher than that of ovaprim despite the fact that there were more fingerlings (high survival rate) in the ovaprim treated fish than those of ovulin and could be due to difference in hormonal and chemical composition. The result of this finding is in line with that of Ayoola et al., (2012) who reported higher weight in fingerling obtained from ovulin and was attributed to the physiological make up of the fish as opined by (Haylor, 1993). 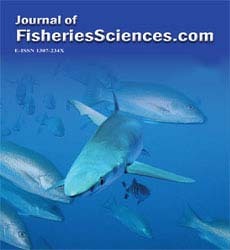 The comparative cost of the hormones used showed that ovulin which recorded better performance in most of the parameters such as percentage hatchability, fertility and latency period except in survival rate when evaluated cost N165.6 for induce breeding of C. gariepinus to produce mean fingerling weight of 14.33 ± 0.58 g in 0.36 ml of ovulin while the cost of producing mean fingerling weight of 8.66 ± 1.33 g using equal volume of ovaprim was N180.0. The result of this study is in line with the finding of Ayoola et al., (2012) who recorded better performance in the aforementioned parameters for induced breeding of C. gariepinus and considered ovulin to be more cost effective than pituitary extract. According to Efe et al., (2015) ovaprim proved to be more cost effective than pituitary gland. Nwokoye et al., (2007) reported similar production cost effectiveness in H. bidorsalis when induced with Ovaprim. It is inferred that both Ovaprim and pituitary can be used effectively for artificial breeding of C. gariepinus and that ovaprim has more comparative advantages in terms of reproductive outputs and fry quality. According to Ayoola et al., (2012), considering the overall performance of ovulin and also as have been reported earlier by Zohar et al., (1995) the ovulin analogues are advantageous because it resist enzymatic degradation when injected into gravid fish resulting in a more prolonged stimulation of hormone released when compared to other hormones such as pituitary and ovaprim. In conclusion, fertility rate, number of fertilized eggs and hatched eggs were higher in ovulin spawned fish than ovaprim. Whereas number and survival of fingerlings were higher in ovaprim spawned fish than ovulin. The results from this study therefore suggest that each of these of spawning hormones have their advantage and the utilization of any of them depends on the choice , cost, availability and preference of fish farmers. Abdulraheem,S.O.,Otubusin,O.T., Agbebi,O.,Olowofeso, K. A.,Adeyemi, A.S.S. (2012) Induced Breeding of African Catfish (Clariasgariepinus) Under Varying Brood Stock Ratios.Glo J of Sci Front ResAgri and VetSci12,1. Adebayo, O.T., Popoola, O.M. (2008) Comparative Evaluation and Efficacy and Cost of Synthetic and non-synthetic Hormones for Artificial Breeding of African Catfish (Clariasgariepinus). J of Fish and AquSci3, 66-71. Adebisi,A.A. (1981)The physic-chemical Hydrobiology of seasonal upper river, HydBiol79,157-165. Akinrotimi, O.A.,Onunkwo, D.N., Cliffe, P.T., Anyanwu, P.E., Orokotan, O.O. (2007) The role of fish in the nutrition and livelihoods of families in Niger delta, Nigeria. Intl J of Trop Agric and Food Syst1, 344-351. Akinrotimi, O.A., Abu, O.M.G., Ibemere, I.F., Opara, C.A. (2009) Economic viability and marketing strategies of periwinkle Tympanotonusfuscatus in Rivers State, Nigeria.Intl J of Trop Agric and Food Syst3, 238-244. Akinrotimi, O.A., Abu, O.M.G., Aranyo, A.O. (2011a) Environmental Friendly aquaculture: key to sustainable fish farming development in Nigeria. Cont J of Fish and AquaSci5, 17-131. Akinrotimi, O.A., Abu, O.M.G., Aranyo, A.A. (2011b) Transforming aquaculture from subsistence to commercial level for sustainable development in Niger Delta Region of Nigeria. J of Agric and SocRes11,22-33. Akinrotimi, O.A., Gabriel, U.U., Erondu, E.S. (2012) Induction and recovery times in three sizes of Clariasgariepinus exposed to anaesthetic tricaine methane sulfonate (MS-222). Nig J of Fish9, 560-565. Akinrotimi O.A., Edun, O.M., Ibama, J.E.W. (2015a) The roles of brackish water aquaculture in fish supply and food security in some coastal communities of Rivers state, Nigeria. Intl J of AgricSci and Food Tech1, 012-19. Akinrotimi, O.A., Gabriel, U.U., Edun O.M. (2015b) The efficacy of clove seed extracts as an anaesthetic agent and its effect on haematological parameters of African catfish (Clariasgariepinus). Intl J of Aqu and Fish Sci1,042-047. Anyanwu, P.E., Gabriel, U.U., Akinrotimi, O.A.,Bekibele, D.O., Onunkwo, D.N. (2007) Brackish water aquaculture: a veritable tool for the empowerment of Niger Delta communities. Sci Res and Ess2,295-301. Ataguba, G. A., Annune, P.A., Ogbe, F.G. (2009) Induced breeding and early growth of progeny from crosses between two African clariid fishes, Clariasgariepinus (Burchell) and Heterobranchuslongifilis under hatchery conditions. J of Appl BioSci14, 755-760. Ayinla,O.A. (1988) Nutrition and Reproductive performance of Clariasgariepinus (Burchell 1822), Ph.D Thesis, Department of wildlife and fisheries Management, University of Ibadan Nigeria. pp: 433. Ayoola, S.O., Kuton, M.P,Chukwu.S.C. (2012) Comparative Study of Piscine and Non -	Piscine Pituitary Extract And Ovulin For Inducing Spawning In Catfish (Clarias	gariepinus).Afr J of Food and Agric12, 6809-6822. Bhujel, C.R., Luang, K., Thani, P. (2000) A Review of Strategies for the Management of Nile Tilapia (OreochromisNiloticus )Broodfish in Seed Production Systems, Especially Hapa-Based Systems. Thailand. Bruzuska, E. (2000) Artificial spawning of carp (Cyprinuscarpio): difference between the effects on reproduction in females on Polish and Hungarian provenance treated with carp pituitary and D-Ala6, GnRHproNET (Kobarelin). Aqu Res31, 457-465. De Graaf, G., Janssen, H. (1996) Artificial Reproduction and pond rearing of the African Catfish(Clariasgariepinus) in Sub-saharan Africa. A Hand book.FAO Fisheries Tech Pap. Rome 362, pp: 73. De Graaf,G., Galemoni.,Banzoussi, B. (1995) The artificial reproduction and fingerling production of the Africa catfish(Clariasgariepinus) (Burehell, 1822).Aqu42, 301-308. De Leeuw, R., Goods, H.J.T., Richter, C.J.J.,Edind, E. H. (1985) Pimozide-LHRHa induced breeding in the African catfish, Clariasgariepinus(Burchell). Aqu44, 229-302. Delince, G., (1992)The ecology of the fish pond ecosystem, Kluwer AcadmicPublisers London. pp: 230. Efe,O., Erondu, E.S.,Nenibarini, Z. (2015) Evaluating the Efficacy of Pituitary Gland Extracts and Ovaprim in Induced Breeding and Fry Quality of Clariasgariepinus, Burchell (Pisces: Claridae). Agric, For and Fish4, 71-76. El-Gamal,A.E. (2009) Effect of Temperature on Hatching and Larval Development and Mucin Secretion in Common Carp, Cyprinuscarpio	(Linnaeus,1758).Global Veterinaria3,80-90. El-Hakim, H. (2009) The natural history of vincristine-induced laryngeal paralysis in children. Arch OtoHead Neck Surg135,101-105. FAO. (1996)Artificial Reproduction and Pond Rearing of the African Catfish (Clariasgariepinus) in Sub-Saharan Africa-A Handbook.Food and Agriculture Organization of the United Nations, Fisheries and Aquaculture Department Rome, Italy.pp: 73. FAO. (2007) State of world aquaculture FAO Fisheries Technical paper, No.500, Rome. pp: l34. FAO. (2006) Aquaculture production, Year book of fishery statistics.FAO, Rome, Italy 101, 81. Francis, T.(1992) Induction of oocyte maturation and ovulation in the freshwater Asian catfish(Clariasmacrocephalus) by LHRHa and pimozide.J of ApplIcht80, 90-98. Gabriel, U.U., Anyanwu, P.E., Akinrotimi, O.A. (2007a) Comparative Effects of Different Acclimation Media on Haematological Characteristics of Brackish water tilapia, Sarotherodonmelanotheron (Rupell, 1852). J of Fish Intl 2, 195-199. Gabriel, U.U., Akinrotimi, O,A.,Bekibele, D.O., Anyanwu, P.E. (2007b) Locally produced fish feed: Potentials for aquaculture development in sub Saharan Africa. African J of Agric Res2, 287-295. Gabriel, U.U.,Akinrotimi, O.A.,Bekibele, D.O., Anyanwu P. E., Onunkwo,D.N. (2007c) Economic benefit and ecological efficiency of integrated fish farming in Nigeria. Sci Res and Ess2, 302-308. Gabriel, U.U., Akinrotimi, O.A., Orokotan, O.O. (2009) Water recirculation system. A Revolutionary tool for sustainable aquaculture development in Nigeria.Intl J of Agric and R Devlt12,121-135. Gabriel, U.U., Akinrotimi, O.A. (2011) Management of Stress in fish for sustainable aquaculture development.Res3, 28-38. Gabriel, U.U., Akinrotimi, O.A., Momoh, Y. (2016) Comparison of some fish sorting tool for grading Clariasgariepinus fingerlings. Journal of Aquaculture Engineering and Fisheries Research 2, 109-118. Geffen, A.J., Fox, C.J., Nash, R.D.M. (2006). Temperature-dependent development rates of cod (Godusmorhua) eggs. J of Fish Biol69,1060-1080. Haniffa, M.A.K., Sridhar, S. (2002) Induced spawning of spotted murrel (Channapunctatus) and catfish (Heteropneustesfossilis) using human chorionic gonadotropin and synthetic hormone (Ovaprim). Vet Arch72, 51-56. Hill, J.E., Kilgore, K.H., Pouder, D.B., Powell, J.F.F., Watson, C.A. (2009) Survey of Ovaprim use as a spawning aid in ornamental fishes in the United States as administered through the University of Florida. Trop Aqu Lab71, 206-209. Hogsetle, A.J. (1990) Effects on commercial broiler chicks of constant exposure to UV from insect traps.PoultSci78,324-326. Inko-Tariah, M.B., Gabriel, U.U., Mommoh, M.Y., Akinrotimi, O.A. (2008) Optimum dietary protein requirements for spent female clariasgariepinus brood stock.Intl J of Trop Agric and Food Syt1, 378-389. Keremah, R.T., Gabriel, U.U., Akinrotimi, O.A., Sese, M.G. (2010) Comparative efficacy and economic of selected hormones in spawning of Heterobrachusbidorsalis and Clariasgariepinus.J for Appl Res2, 83-93. Kouril, J., Hamackova, J.,Barth, T. (1992) Induction of ovulation in African cat fish (Clariasgariepinus) using GnRH analogues, dopaminergic inhibitor of isophoxythepin and carp pituitary. Zoological sectionof the Slocac academy of Sciences, Bratislava.Proceedings of the Ichthyologic Conference. Kusmic, C.,Gualtieri, P. (2000) Morphology and spectral sensitivities of retinal and extra-retinal photoreceptors in freshwater teleosts.Micr31,183-200. Lambert, Y. (2008) Why Should We Closely Monitor Fecundity in Marine Fish Populations? J. Northw. Alt. Fish. Sci41, 930-106. Marsh, E. (1986) Effect of egg size of offspring fitness and maternal fecundity in the orange-throat darter (Etheostomaspectabile) (Pisces: percidae). Copeia.pp: 18-30. Miller, T.J., Crowder, L.B. Rice J.A., Marshall, E.A., (1988) Larval size	and recruitment mechanisms in fishes: Toward a conceptual frame work. Can J of AqutSci45, 1657-1670. Mohammed, A.H., Thangarose, M.,Junaity, S. M.(2000) Induced spawning of the striped murrel (Channastriatus) using pituitary extracts, Human Chorionic Gonadotropin, Luteinizing Hormone Releasing Hormone Analogue, and Ovaprim. Act Ichth30, 53-60. Nwokoye,C.O., Nwuba, L.A., Eyo, J.E. (2007) Induced propagation of African clariid catfish,(Heterobranchusbidorsalis) (Geoffrey Saint Hillarie,1809) using synthetic and homoplastic hormones. Afri J of Biotech 6, 2687-2693. Olaniyi, C.O.,Akinbola, D.O. (2013) Comparative Studies on The Hatchability, Performance and Survival Rate of African Catfish (Clariasgariepinus) Larval Produced: Using Ovaprim and Catfish Pituitary Extract Hormones. J of Biol, Agric and Health3, 11-16. Omotosho, J.S. (1988) The Development of Eggs and Larvae in Tilapia zillii (Gervais). Nig J of Sci22,24-28. Oyelese,O.A. (2006) Water Temperature a determinant of Fertilization and Hatchability Rates in Artificially induced Breeding of Clariasgariepinus(Teleostei :Clariidae). Res J of BiolSci1, 83-87. Papoutsoglou, S.E., Mylonakis, G., Miliou, H., Karakatsouli, N.,Chadio,	S. (2000) Effects of background colour on growth performances and physiological responses of scaled carp (Cyprinuscarpio L.) reared in a closed circulated system. AquEng22,309-318. Reich, K. (1975) Multi-species fish culture poly-culture in Israel.Bamd27,pp: 85. Richter, C.J.J., Eding, E.H., Goos, H.J., De Leeuw, R.M., Scott, A.P. et al. (1987) The effect of pimozyde/LHRH-a and 17a-hydroxyprogesterone on plasma steroid levels and ovulation in the African catfish, (Clariasgariepinus). Aqu63,15-168. Saidin, T. (1986) Induced Spawning of Clariasmacrocephalus (Gunther); The first Asian Fisheries Forum, Macleen, J.L., Diz, L.B and Hosillos, L.V (Eds). Asian Fisheries Society, Manila, Phillipjnes. pp: 683-686. Stanley,W.A.,Hofacre,C.L.,Ferguson,N.,Smith,J.A., Ruano,M.M. (2003) Evaluating the use of ultraviolet light as a method for improving hatching egg selection.J of ApplPoult Res12,237-241. Tan-Fermin, J.D., Emata, A.C. (1993) Induced spawning by LHRH-a andpimozide in the catfish Clariasmacrocephalus(Gunther). J of ApplIcht9, 86-96. Yanong, R.P.E., Carlos, M., Craig, A.W. 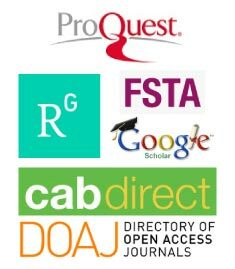 (2009) Use of Ovaprim in Ornamental Fish Aquaculture.Program in fisheries and Aquatic Sciences, Institute of Food and Agricultural Sciences.University of Florida. FA161. Zohar, Y., Harel, M., Hassin. S.,Tandler, A. (1995) Gilthead sea bream. In: N.R. Bromage	and R.J. Roberts (eds. ): Brood-stock management and larval quality,Blackwell Science, Oxford. pp: 94-117.